For many people, a mudroom is already a de facto pet's room. It's the place where they store leashes, toys, maybe even a litter box. But what if your mudroom could be something more? Still a place for pets, but also a space you'd want to show off? It's one of the newest trends we're seeing: taking mudrooms and turning them into what amounts to little pet resorts. We're not saying you need to transfer part of your house into a Four Seasons for dogs. But there are some mudroom storage opportunities that you may be missing, and that can make life easier for you and your pets. Here are a few steps to make it happen in your home. It might seem like we gave this blog post an unusual title. After all, when you think about storage solutions, terms like “sophistication” and “charm” aren’t the first things on your mind. But built-in cabinetry adds a sophisticated touch to any room. Think of it as an antidote to knock-down furniture made from cheap materials. With a little additional investment, you can have a designer look that you will enjoy for years to come. 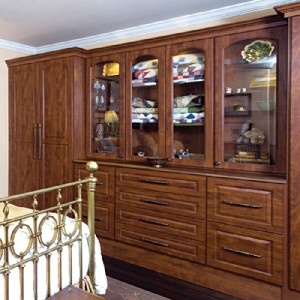 Here are three advantages to installing custom built-in cabinetry in your home.